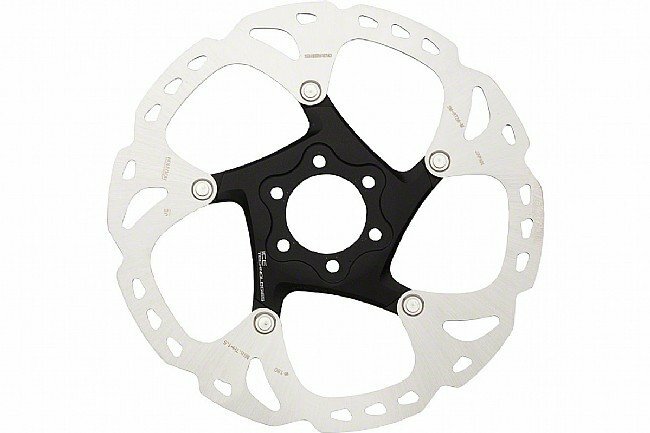 Shimano's SM-RT86 Ice-Tech Disc Rotors feature a unique 3-layer construction that allows them to operate up to 220 degrees (F) cooler than standard steel rotors. They're built with aluminum core and two stainless steel outer layers to lower the operating temperature, resist power fade and increase pad life. Optimized for Ice-Tech brake pads. 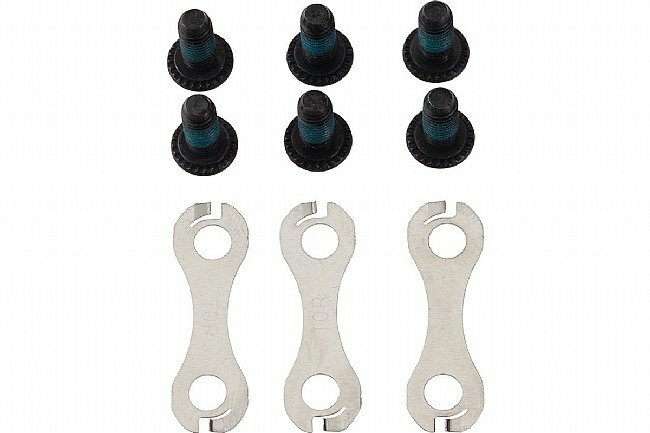 For use with standard 6-bolt hubs. Available in 160mm and 180mm sizes. Actual weight: 114g (160mm, weighed without included hardware). Sold individually. It does exactly what a disc rotor should, stop your bike. Ice tech seems to work well too. The Shimano Ice-Tech rotors brake well with the organic brake pads that I've paired up with them. Theses rotors are the best ! I put a ton of hours on my mountain bike and they never let me down . Western Bike Works rocks!! 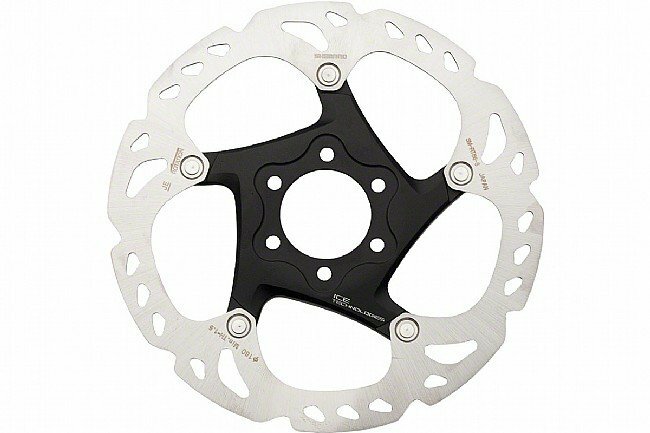 These are awesome Shimano brake rotors. Light, cool, stop fast. Everything you ask for in a brake rotor! The Ice rotors install quickly, and have worked perfectly, no overheating means no dying rabbit squeal. Way better than the Avid rotor it replaced! Switching over to the Ice Tech rotors made such a difference in my braking on the trail. I do a lot of DH shuttle runs and nothing puts brakes to the test like sustained dh tech. My previous Avids wouldn't dissipate heat that well giving me brake fade accompanied by loud squeals. With the ice techs I've yet to get brake fade, giving me strong stopping power thru ought the day with no noise! Fantastic upgrade!! Good braking power from these rotors. Replaced my original rotors on my Specialized Sirrus Carbon Comp. Easy to follow installation though required some adjustment to the brake pads. Seem to grip better and noisefree. The rotor you receive will not look like this! The hub of the rotor you receive will not look like this. Disappointment. It's tough to give a qualified and fair review this as I've not ridden other discs but these. They feel solid and brake well in the time I've ridden them. The reason why I purchased them is because of all the other reviews claiming how great a job these discs do. Strong stopping power without the noise. Worked well for cross-country MTB use. Use this on my Pivot 429 carbon bike with different tires depending on time of year and terrain I am riding. Wear and tear is great would not use anything else. Have different wheels set up and have them on both bikes. These do not overheat, do not make noise, stay true, and wear well. 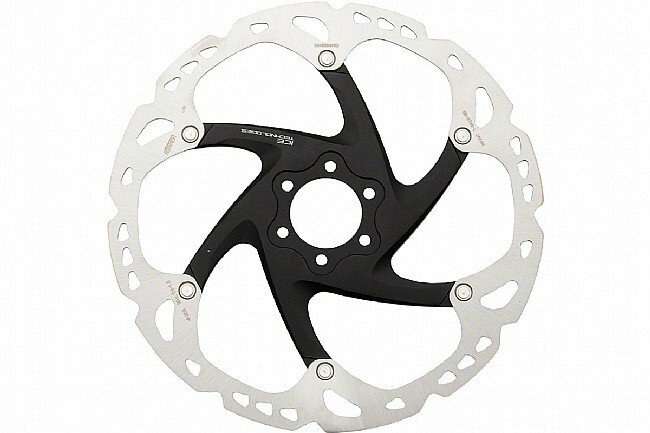 You can't buy a better rotor (or a better pair of brakes, for that matter). These are worth the extra money.